According to the latest report from the Transnational Institute (Tni), the free-trade agreement between the European Union and Canada would open the door to 42000 American and affiliated Canadian firms, including agrifood giants such as Coca Cola, McDonald, Cargill and ConAgra foods. In fact, 81% of American firms operating in Europe meet the requirements to be deemed “Canadian investors”. The presence of the Isds/Ics provision within the Ceta agreement would therefore allow a large number of American firms to sue national governments in private arbitration courts to demand for compensation, in case of regulations and national laws getting in the way of their interests. The dossier stresses the fact that it’s the multinationals themselves, by now used to using such an instrument aggressively, who have reached the point of inhibiting legislators who, out of fear of being sued, are often prompted not to introduce legislations that might not sit well with powerful multinationals. As such, Ceta would privilege investors by limiting democratically elected governments’ ability to act in their citizens’ interest. The Stop Ttip Italy Campaign organized a protest in front of the Italian Parliament in Rome specifically in order to denounce Ceta. In terms of the Italian economy, CETA will have a huge impact on the primary sector, more specifically on wheat production and consequently on pasta and all its derivative products. As a recent dossier published by the Stop TTIP Campaign states, Italy is Europe’s largest producer of durum wheat for pasta production with 4.8 million tonnes, about 60% of the market request, cultivated on an area of about 1.3 million hectares. However, 4.8 million tons of wheat and 2.3 million tons of durum wheat are imported from abroad. Of these, over half (a total of 1.2 million tons) are imported from Canada. In fact Coldiretti, the main Italian farmer organization, has declared that almost one out of five packs of pasta contains Canadian wheat. As a consequence, many Italian pasta producers have abandoned the market due to falling wheat prices, despite the quality of their wheat being higher than that of imported wheat flooding the market. The main issue in this context is the fact that wheat has been considered a normal commodity, whose price was to be regulated by the market. However, if CETA were to be approved, 97% of our tariff barriers would be eroded, leading to a process of high deregulation. This agreement would allow North American corporations to take over small and medium Italian enterprises due to the massive imports of foreign wheat and grain it would pave the way for. Consequently, the process of global market deregulation and limitations in storage capacity will exacerbate the war between agroindustry and primary sector producers. According to the Canadian Centre for Policy Alternatives, at least 45% of Canadian food production is exported. National agricultural exports have tripled from $ 11 billion to $ 33 billion between 1988 and 2007. In the same period, according to an analysis by the National Farmers Union, the net income from farms has fallen by more than half, while these companies’ debt has doubled. What’s more, over the last 40 years, Canada has lost 45% of its farms thanks to the free trade agreement signed with the US and Mexico (NAFTA). The total number of farms in Canada plummeted from 366,128 in 1970 to 204,730 in 2011. This data shows the threats posed, especially for our small and medium farmers, by this new ‘wave’ of liberalization. Our safety barriers do not simply concern the economic sphere, but were put in place to safeguard against environmental and health threats as well. The main issue with Canadian wheat regards the high quantity of glyphosate it contains. Not only are North American products treated with glyphosate, which has been banned in Italy as a suspected carcinogenic (the use of glyphosate has been banned in the pre-harvest crops for the sole purpose of optimizing the harvest in the school grounds, parks public, flowerbeds and traffic islands), but also the legally allowed level of toxins in such products is much higher compared to the level that Italian law deems acceptable. Glyphosate, which has been sold by Monsanto as RoundUp, the “miracle herbicide”, has been classified by the World Health Organization (WHO) as “probably carcinogenic” to the human body. Nevertheless, Canada continues spraying glyphosate in order to increase protein levels in wheat sheaf, but in the meanwhile still leaving high levels of chemical residues. This issue is related to quality levels dictated by the market and industrial sector, due to the fact that it is the latter who define the levels of protein and toxins allowed in our wheat products. Hence the necessity to mix Italian wheat, which has less toxin and more protein, with Canadian grain that has high levels of both, in order to balance the quantities. Besides, questions around CETA also concern labour and public services matters. These are issues on which generic agreements have been reached, but that still have not satisfied civil society organizations. One of the matters analysed in the study concerns national governments’ ability to withdraw from agreements on public services without disputes arising with multinational corporations. Public services, under this point of view, tend to be considered potential markets for commercialization: “the agreement’s aim”, the report states, “is that of reversing the current paradigm which, at least in principle, still values the public interest more highly than the private one; with regulatory co-operation and the investments court, the attempt is to overturn such a perspective even from a strictly jurisdictional point of view”. Furthermore, CETA’s chapter on labour is void of binding provisions capable of enforcing respect for ILO (International Labour Organization) regulations and of any guarantee of keeping multinationals’ privileges and special rights in check. The report stresses that, out of the ILO’s eight fundamental conventions, Canada has not ratified n. 98 on the right to collective bargaining, or n. 138 on the minimum age to be employed as a worker. As Canada, twelve European states have not yet ratified the health and safety-on-the-workplace convention. One of the effects of this situation could be that of enabling those entrepreneurs who intend to move their investments where there are less stringent regulations on labour. According to Monica Di Sisto, CETA represents a treaty whose potential effects on our social and economic fabric would be devastating: “the advantages Ceta would grant to multinational corporations are the same ones they would obtain through TTIP; for this reason, we need to raise our guard if we want to defend small and medium-scale local producers”. 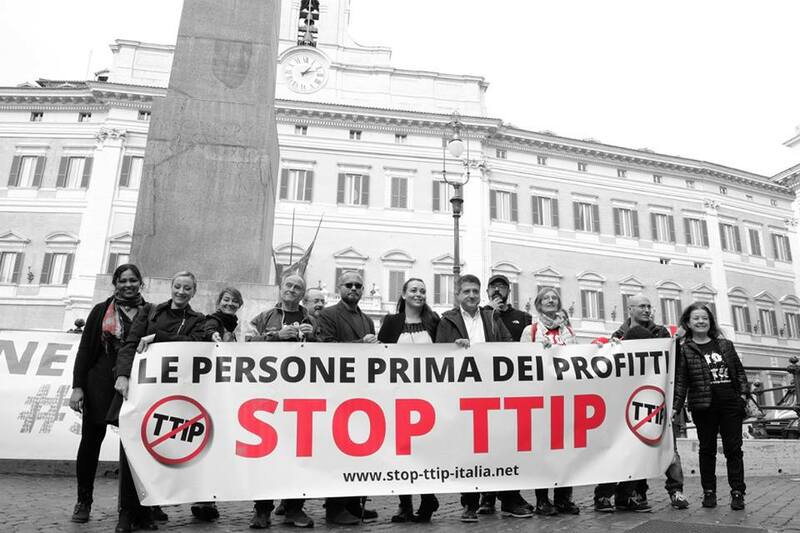 The spokeswoman for the Stop TTIP Italy Campaign concluded “the bad thing is that Ceta seems to be completely excluded from the public debate, as was the case with Ttip in previous years, before unions along with consumer and civil society organizations and common citizens started to get informed and to contrast it. 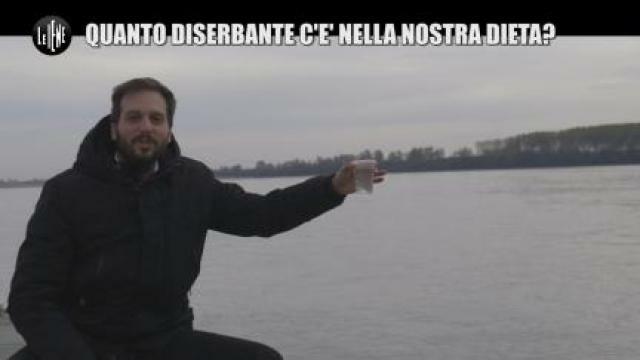 I believe” Di Sisto concluded “it is our responsibility to denounce the fact that Ceta is actually a ‘Trojan horse’ used to raise multinationals’ profits, and that it is our duty to fight against this agreement from the day of its approval by the European Parliament until its eventual ratification by national parliaments”. Pingback: Il CETA: l'accordo tra l'Unione Europea e il Canada che farà fallire molte altre imprese italiane.